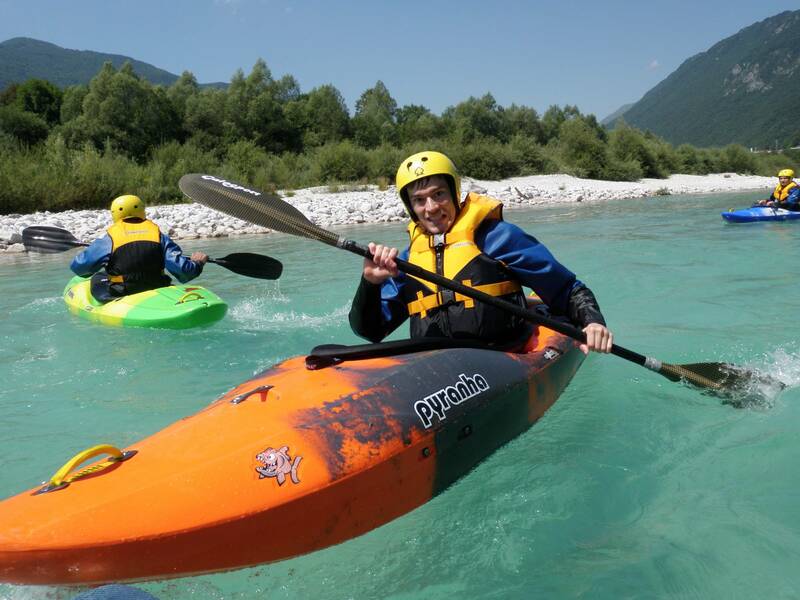 An incredible short break in Slovenia, Soča Valley in touch with nature, trying yourself in 3 different outdoor activity! 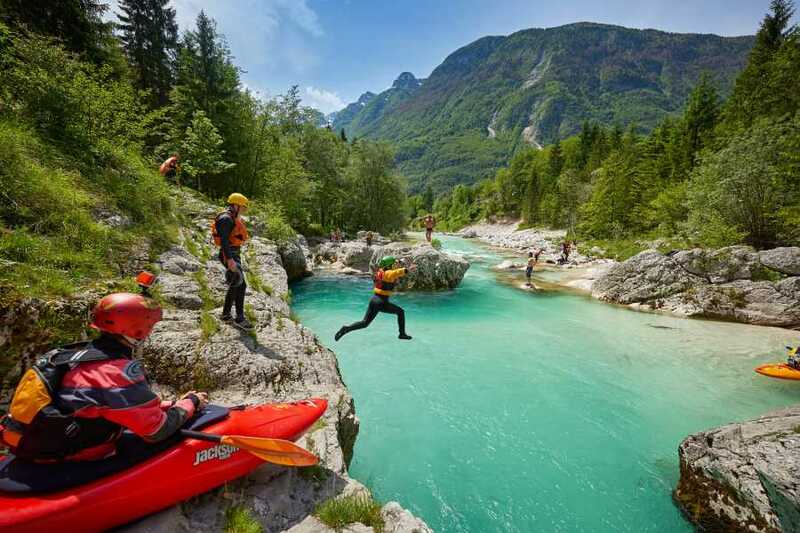 During the holiday you can experience a unique variety of outdoor adventure in Slovenia, Soča valley. 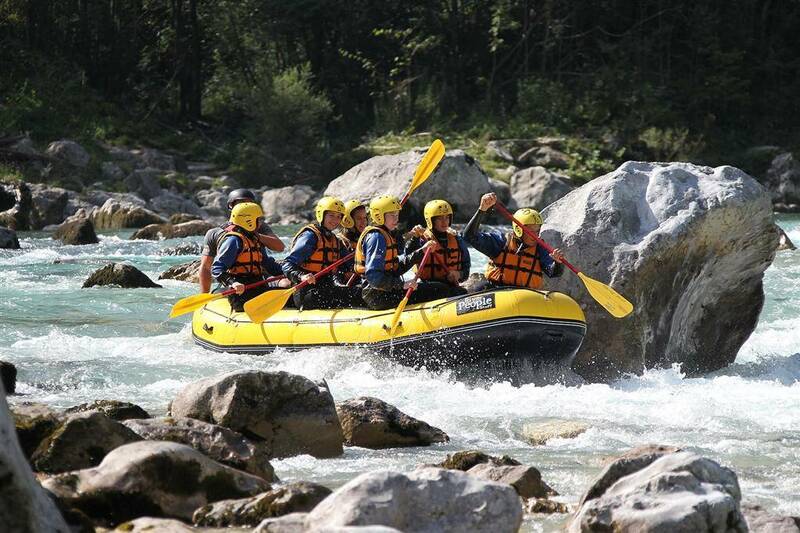 You will be impressed by the Spectacular scenery, welcoming people and the outdoor activities offered! 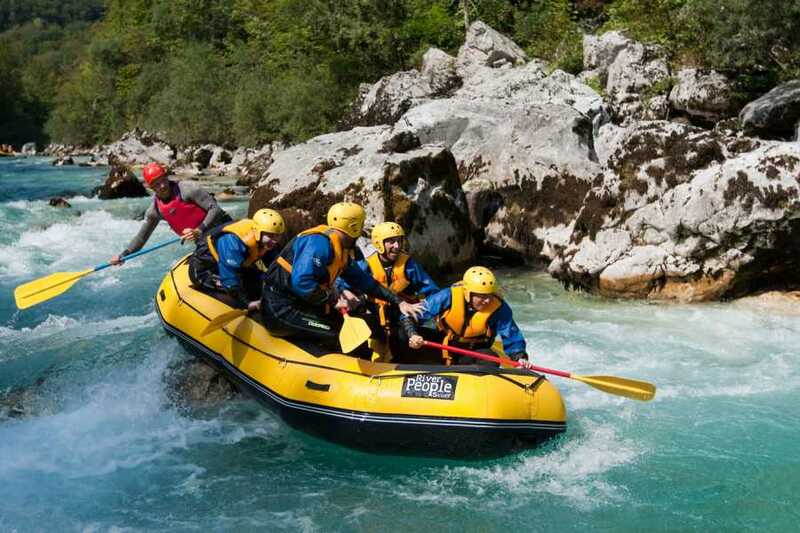 The Soča Valley is primarily an untouched natural environment. 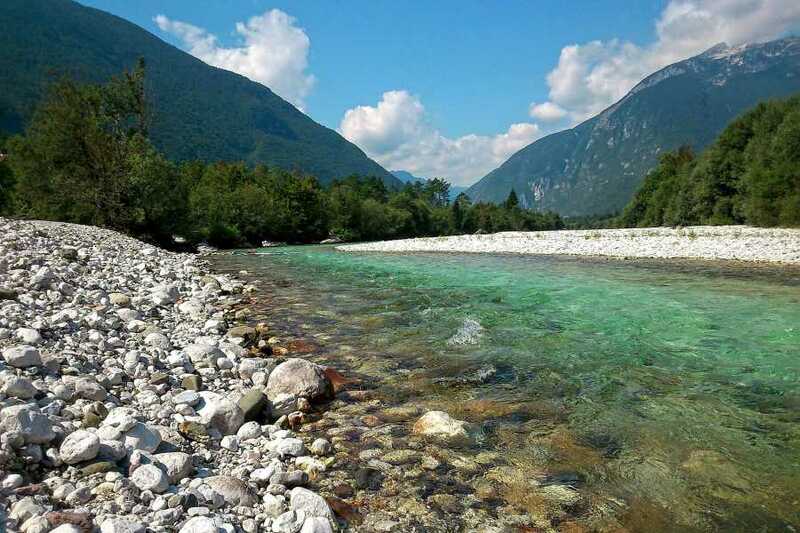 Throughout the river valley, one can find only a few small, friendly and hospitable towns ( Kobarid, Bovec, Tolmin, and Kanal ) There are also many picturesque mountain villages and an endless variety of natural wonders and the ruins of the paradise garden of mythical Zlatorog. 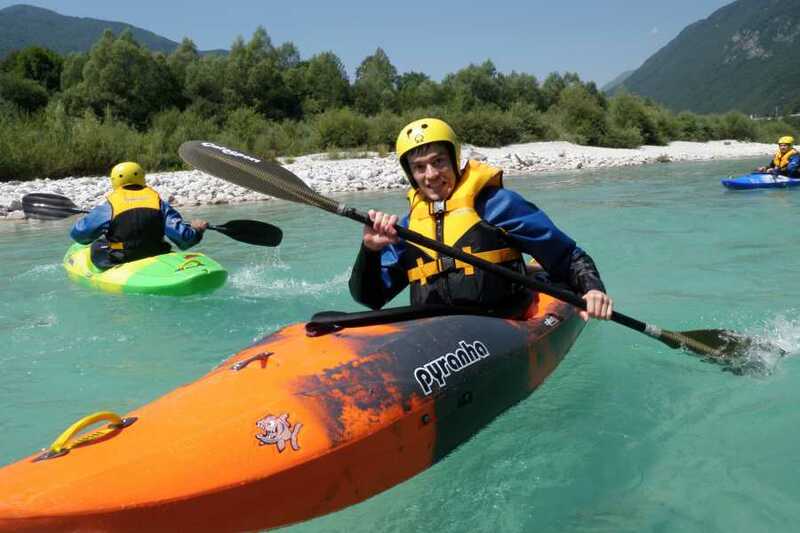 Due to its rich natural features, the Soča Valley is a key destination for active visitors who are looking to get a little exercise, relax their minds and open their hearts. 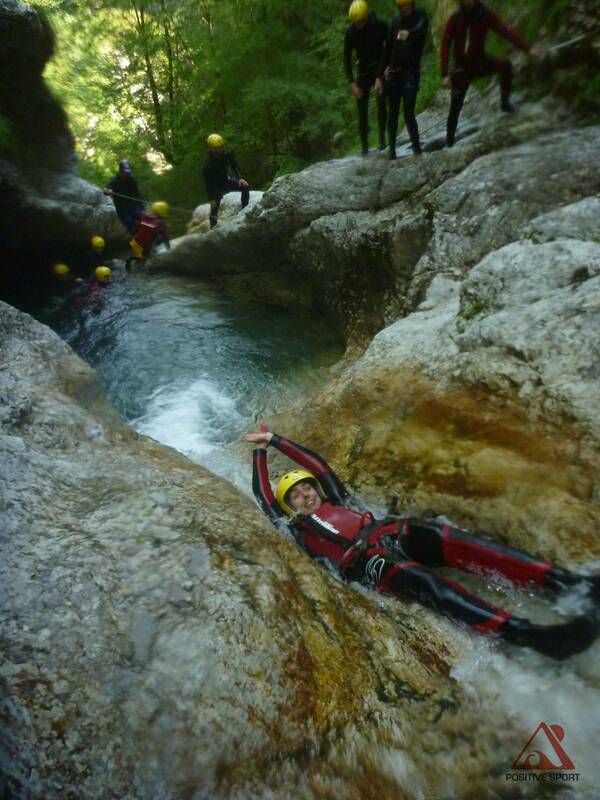 the group will meet in Kobarid where you will meet with your guide. We will show you accommodation and we will do a briefing for the whole weekend. If you come early during the day, you can do some sightseeing around Kobarid or just relax and enjoy coffee in a local café. After breakfast, we head on to the river for rafting. Basic instruction is given at the beginning of the trip as to how to steer and propel the craft. The first part of the course is mild and there is a stop on the riverbank and a chance for a swim. 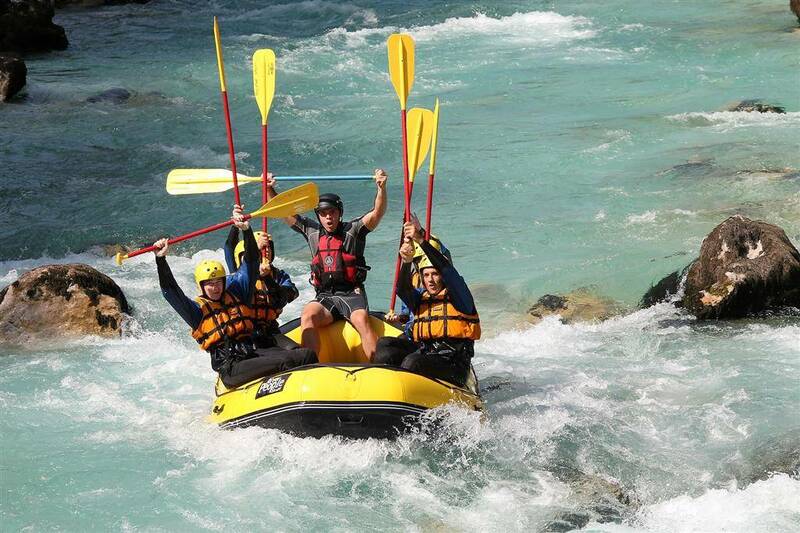 The second part then gets a little rougher and the rafting really starts. 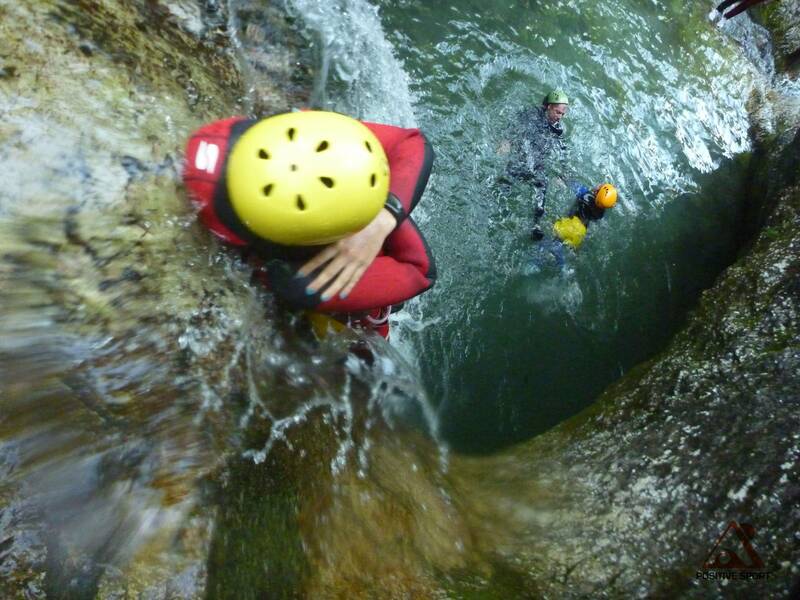 In the afternoon after lunch, we will go for a half-day of Canyoning. The Susec canyon is the usual destination, and after getting the appropriate clothing (wetsuits and helmets), we hike up to the entry point. 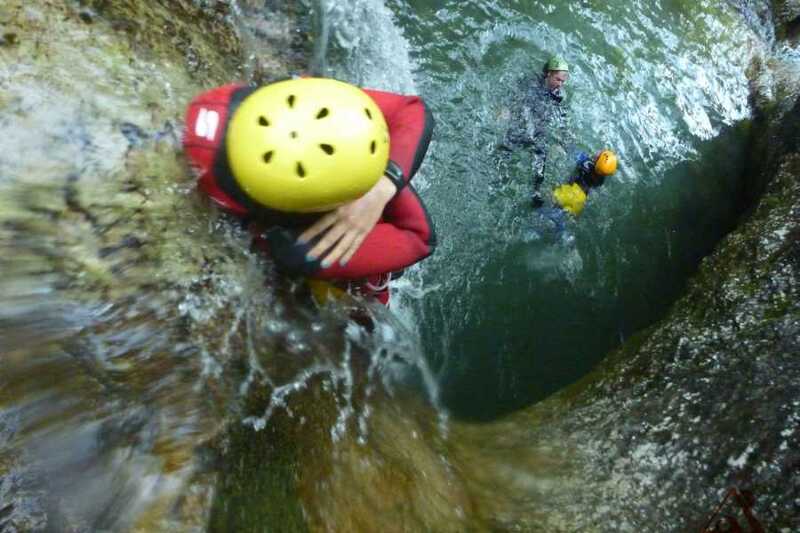 The first few drops are gentle and instruction is given as to how to descend. On one of the larger falls, you will be lowered down with a ropeway. Overnight and free dinner. 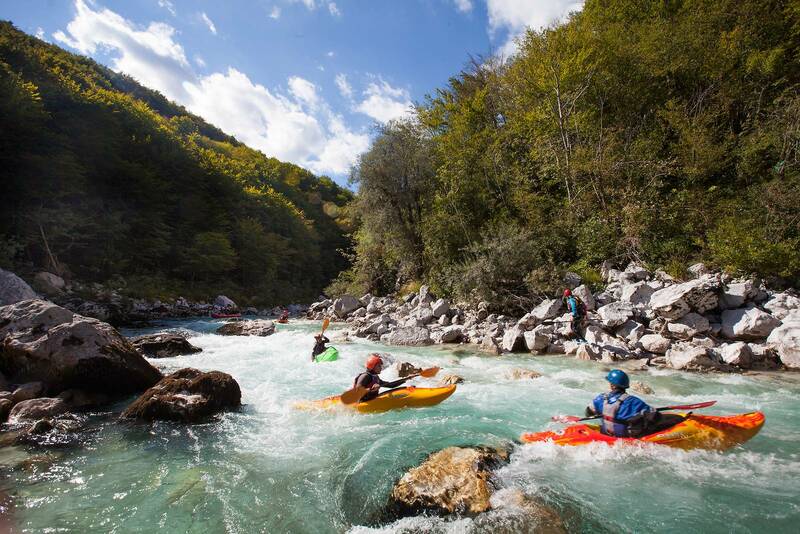 Whitewater kayakers travel from all over to enjoy the Soca River. The Soca valley has also become a very popular place to learn this exciting sport. After a safety briefing and teaching you basics we will have an hour and a half trip n the river grade 1 and 2. 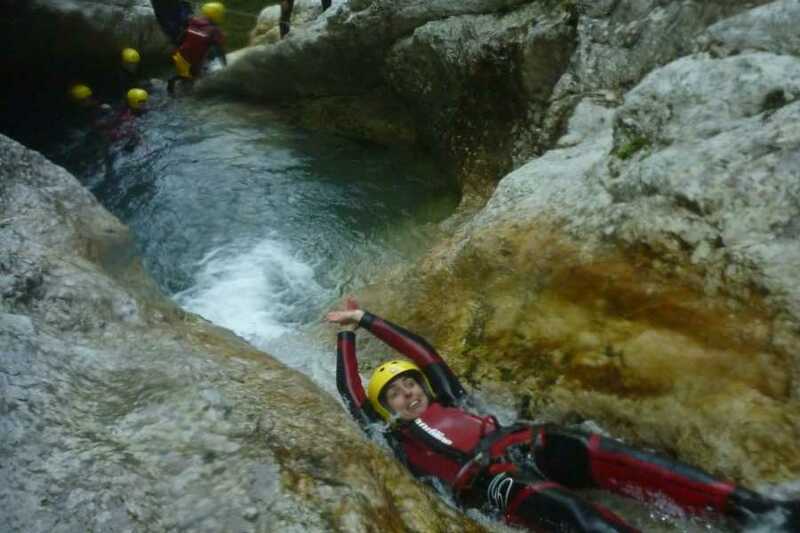 In the afternoon there will be last minute for some more adrenaline or relaxation. 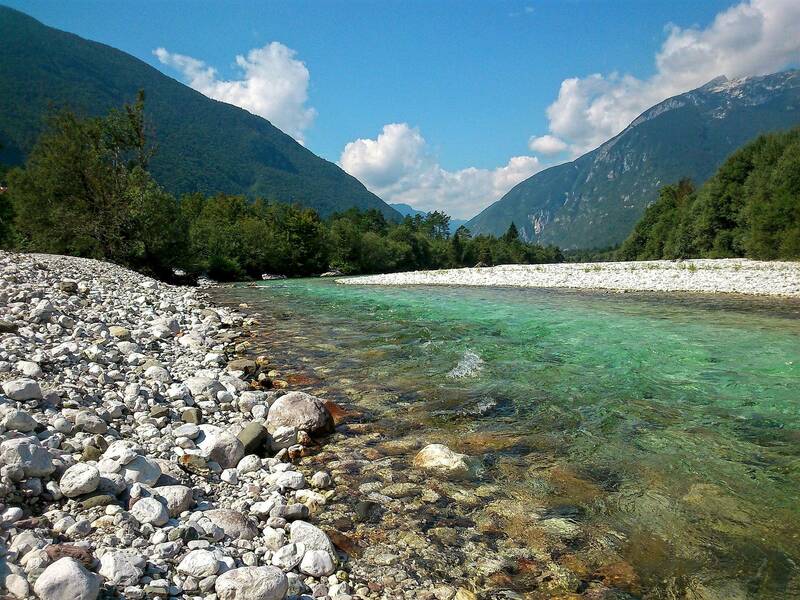 Time to say goodbye Soca Valley !